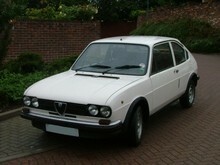 Alfa Romeo launched its first "all new" model for many years in 1972, the Alfasud. The Alfasud was a compact sports saloon that was completely new, the engines and bodyshell had not been used in any previous Alfa Romeo models. The Alfasud came only as a four door saloon, however there was a choice of engines which included 1186cc, 1286cc (1977 onwards), 1350cc and 1490cc (from 1978). The Alfasud developed quite a loyal following and had excellent handling characteristics. Between 1971-1983 over 500,000 Alfasud's were produced, the model was eventually replaced by the Alfa Romeo 33. It was considered one of Alfa Romeo's most successful models. A common nickname for the car is ’Sud. It was built at a new factory at Pomigliano d'Arco in southern Italy, hence the car's name, Alfa Sud (Alfa South) and developed by Austrian Rudolf Hruschka. It was shown at the Turin Motor Show and was immediately praised by journalists for its styling (by Giorgetto Giugiaro of ItalDesign) and handling. It featured a 1,186 cc Flat-4 engine. Despite its two-box shape, it did not initially have a hatchback. 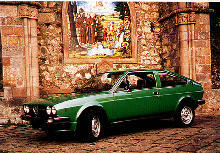 The first production Alfasuds were four-door sedans, with a sporty two-door TI (Turismo Internazionale, or Touring International) model following at the end of 1973. 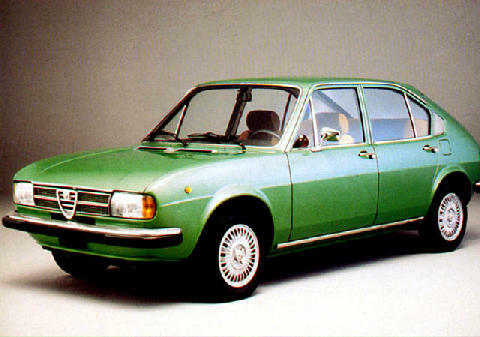 In 1974, Alfa Romeo launched a more luxurious model the Alfasud SE. The SE was replaced by the 'L' (Lusso) model in 1975. The Lusso model was produced until 1976, by then it was replaced with the new '5M' model, the first four-door Alfasud with a 5 speed gearbox. A three-door station wagon model called the Giardinetta was introduced for the 1975 model year. Despite strong engineering, Alfasud's (especially the early ones) had a strong reputation for suffering from rust, possibly due to sub-standard steel traded with the Soviet Union and/or the storage conditions of the bodies at the plant. The car was also imfamous for overheating easily in tropical climates. This was further worsened by the need for air conditioning systems in these environments. 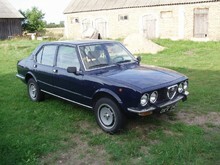 All Alfasuds were upgraded in 1980 with plastic bumpers and other revisions. A hatchback was added to the original shape in 1981. The Giardinetta was deleted from most markets around this time. 0' 0" 0' 0" 0' 0" 0' 0" 0' 0" 0 (17) 0' 0"